The unique history of Texas includes the stories of hundreds of noteworthy individuals whose contributions have made our state great. Among these individuals are countless women who fought for gender equality and shattered glass ceilings, creating new opportunities for those who followed. 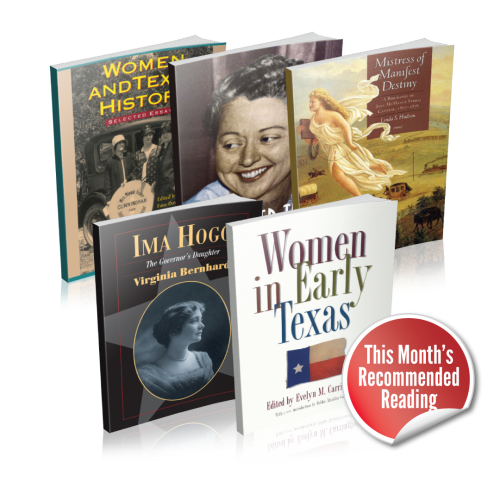 With the Handbook of Texas Women Project, TSHA hopes to preserve and tell these stories to all Texas history enthusiasts. Enthusiasts like you are the Association’s most loyal constituency and are critical to helping TSHA spread and build on this content. For this initiative, we curated some of our best content available on Texas women’s history and assembled a bundle available for download below. Download the FREE bundle now and let us know if you would like to contribute to the project.